Adding Composting Red Wiggler Mix or European Night Crawlers to a bin make the material break down faster. Called “vermicomposting,” this method creates rich, dark humus (worm poop, also called worm castings). Filled with nourishing materials and soil-friendly bacteria, this type of compost is prized by gardeners. 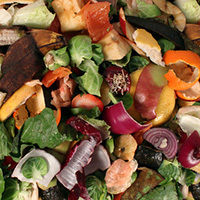 Your composting worms have been breaking down kitchen scraps all winter, if they were warm enough. Composting indoors or in a warm area keeps the worms working. Even cold or frozen compost bin wakes up in the spring. The worms become more active. Soon, you should be able to harvest the worm castings and apply them to your garden. As soon as the ground is warm enough to be worked, get started on soil prep. This might be March or April, depending on your location. Check your worm bin. Dig around a bit. Dark, fluffy material is humus. It has an earthy smell. If you don’t see much humus, or there is a lot of undigested kitchen scraps, you may need to wait a bit. Give the worms more time to break down the scraps. Warm worms work faster. You will be able to filter out the undigested scraps and add them back while harvesting the finished compost. You can choose from several methods for harvesting compost. Try making a screen, making piles, or attracting the worms to one spot. Put the finished compost into buckets, a wheelbarrow, or a burlap sack. The faster you use it, the more living bacteria for your garden. 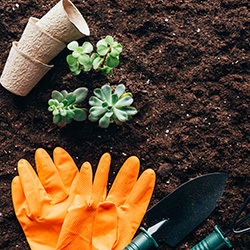 There are several popular methods for adding compost to your garden, plants, and lawn. Some examples are making a soil amendment, spreading compost as a mulch, spraying compost tea, spreading a lawn topdressing, and adding a side dressing. The most fundamental way to use compost is as a soil amendment. This means adding worm castings to the soil and mixing it in. You will need to break up the soil in the spring anyway! So, dig 2″ to 4″ down and throw in the finished compost. Mix the soil and worm castings. Break up the larger lumps. Using an amendment while breaking up the soil adds air pockets and nutrients. The air pockets help regulate soil moisture and will give the plant roots oxygen and room to grow. When you are done, go ahead and plant. Unlike chemical fertilizers, too much finished compost cannot damage your garden. Add as much as you can. Mulch is designed to hold in moisture. Spread worm castings around plants, trees, and shrubs. Two to three inches deep of worm castings should be plenty. The mulch will break down over time. When that happens, add more. Mulch makes the soil more fertile over time. This is the type of tea you do not want to drink! But your plants will love it! Worm tea is brewed from worm castings, sugar, and water. See our instructions on brewing compost tea. Spray it on leaves, the lawn, and on the soil around your plants. Want a greener, healthier lawn? Adding worm castings as a lawn topdressing builds stronger roots, releases nutrients slowly, and improves soil structure. The humus contains soil-friendly microbes that reduce lawn disease. You should start by using a core aerator on the lawn. Then, use a compost spreader or shovel to add about 1/4″ of worm castings. Rake the worm castings into the root zone. Certain plants benefit from side dressing. Before proceeding, look at our list of suitable plants. Then follow these instructions for applying side dressing. Side dressing can be either a small shovelful of compost dug in next to the plant or worm tea. The work you put into composting kitchen scraps pays off during spring planting. 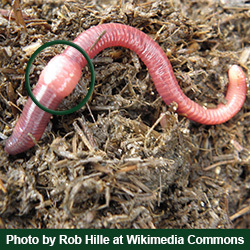 If you do not have enough worm castings, order finished compost from Uncle Jim’s Worm Farm. Have a great growing season!